Blogger Book Fair: Welcome Allison Blanchard! 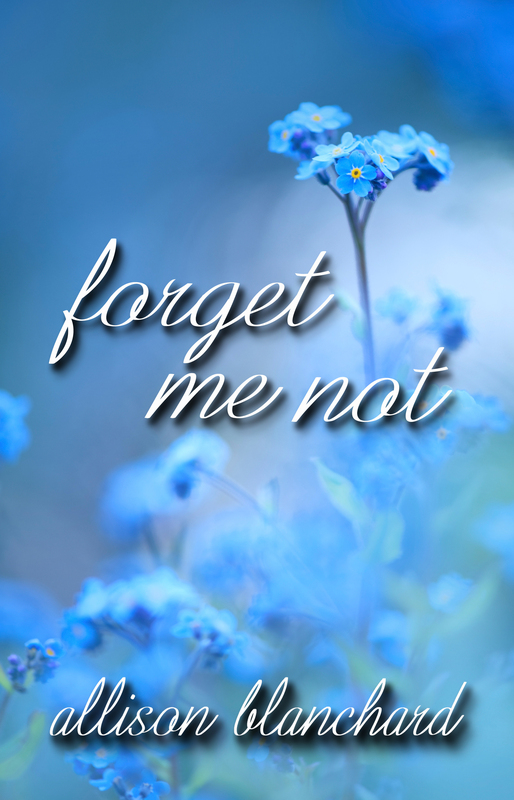 I’m so excited to introduce Allison Blanchard of Martin Sisters Publishing and her book, Forget Me Not. She’s been kind enough to answer my usual questions with her wit, and I know you’ll love meeting her. After answering my usual questions, some silly and some serious, Allison provided an excerpt from her book. Enjoy! 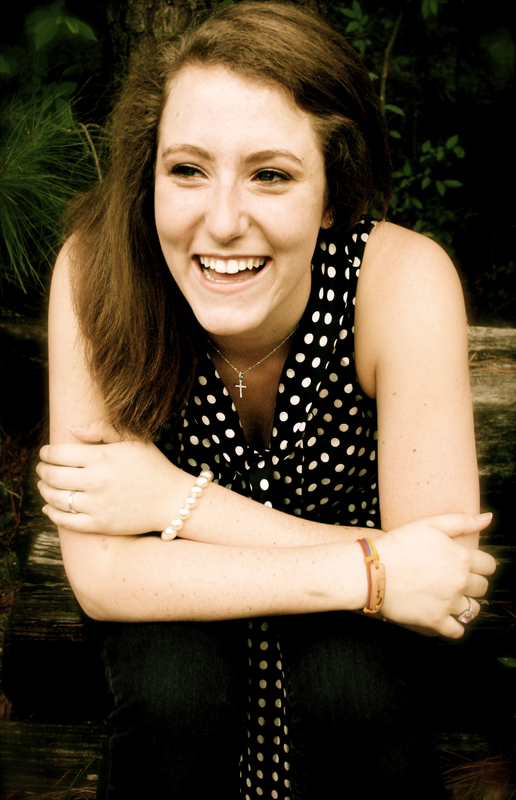 Allison Blanchard is currently a student at Georgia College and State University in Milledgeville, Georgia where she is pursuing her bachelor degrees in English Creative Writing and French. She is an active sister in Sigma Alpha Omega where she continues to grow as a woman in Christ. She writes everyday, drinks too much coffee, and is looking forward to the next adventure her characters will take her. Forget Me Not is a unique love story that digs at the deeper questions of life & death, illusion & reality, with an interwoven thread of Native American culture and legends. I’m pretty sure it was a badly written poem when I was in middle school. Not the deepest and most meaningful piece of literary merit. Plaid, but damask is my FAVORITE pattern! It sort of just happened. I like the freedom my publisher gave me. It really felt like I was apart of a family, not just some client. The project I am working on now is the second book in the Forget Me Not Trilogy, Morning Glory. It picks up where Forget Me Not left off. There are new characters, new twists and turns, but it is definitely a little darker than the first. SPOILER ALERT: There are some character deaths. It’s a pretty intense read. COFFEE! And some good music! My all time favorite bands are The Civil Wars and Paramore! Um, guilty. Usually, the person might not want to know who they inspired. It’s never usually good. But there are a few good characters in my current project who were inspired by some pretty awesome people I know. It is black and white hounds tooth! Marianne Curley! She inspired me to not only read more, but to become a writer. Her beautiful books got me through a really tough time in my life. I am forever grateful to her. The Bell Jar by Sylvia Plath. I do a bit of both. For Forget Me Not, I had to do A LOT of research. I had never been to Great Falls, MT, but I was excited to write about a new place. Usually there is a victory dance which may or may not include crumping. I then go back and read through and edit like a crazy woman. Then there are my trusty pre-readers (Thanks Mom and Courtney! ), then comes the query letter process. The dancing is my favorite part. “Forget Me Not” and “I’ve Got This Friend,” both by The Civil Wars. Here are the links to buy my book! I almost lost my breath when he walked through the door. Here, in the small town of Great Falls, Montana stood an angel in the front of my geometry class. His very presence gave the whitewashed room a certain glow. His skin was a dark, rusty copper. His onyx hair stopped at his neck, curled, and hung close to his face. I finally looked into his clear, blue eyes, but found them looking down to his feet. He was standing awkwardly at the front of the class, never meeting anyone’s eye as Mr. Holman read his note from the office. He was very tall, about 6’2”, with long legs that couldn’t seem to stay still as he swayed side to side. Something about him caught my attention the moment he walked through the door. Like some magnetic pull. Nothing I could possibly explain, not even to myself. He looked strong, but seemed so unsure, nervous. But that wasn’t the only reason it took so much self-control to look away. It couldn’t be that he was from the Indian reservation. Plenty of students had transferred from the reservation school. Although, most of them had transferred back for one reason or another. I never cared enough to take much notice. I’ve never really taken much notice to any of the other students that attended my high school for that matter. That might be one of the reasons no one took any notice of me, either. I was never the most social person in my grade. I didn’t see the point of befriending people when in two years we would lose all contact because we were thousands of miles away trying to figure out what we were going to do with our lives. It seemed kind of pointless. I heard Mr. Holman mutter something about finding a seat. The beautiful boy kept silent and sat down quickly, avoiding eye contact with everyone. The thought flew across my mind about trying to befriend him, showing him around the school. But the thought left as quickly as it came. There was no way I could show him, whoever he was, around. I barely had any confidence left to take myself to class. And that was thanks to Lily. One of my first, and very few, friends was Lily Shelton. We had been best friends all the way through middle school. But when we started high school, Lily changed. Suddenly, boys and the desire to be accepted were more important than me, than our friendship. Ever since our friendship crumbled into oblivion, I have kept to myself. Out of both pride and self-preservation. I glanced to my left, simply curious to see how he was holding up. He turned at the same moment and our eyes locked. I instantly looked away, completely mortified, keeping my eyes glued to either the board or my book. However, I could not shake the feeling that he was still staring. Thankfully, the bell rang. I stood up, shoving my books into my bag. I began to leave the room when a deep, rustic voice stopped me. I looked over my shoulder, and time seemed to stand still. “Uh, it’s down the hall,” I replied awkwardly, vaguely pointing out the door. “I could show you! I know this school like the back of my hand!” Interrupted Sasha, her fire red hair framing her striking, magazine worthy face. I saw the triumph in her eyes and cringed internally. There was no denying she was beautiful. I decided to end my embarrassment and leave the room. Sasha would show the new boy around. I was sure he had already forgotten the small, average girl he had asked where to find his next class. Once I made it to the hallway, I could finally take a deep breath and steady my pulse. I wasn’t sure why this particular boy was suddenly making me feel and act the way I was. The boy and this strange connection to him was unfamiliar territory. And being the coward I was, I was going to run from change. Not allow it to grow or continue to have any more influence on my life. So all I had to do was avoid him like the plague and life would hopefully return to normal. It wasn’t too hard to avoid people, especially when half the school didn’t even know your name. I was almost to my history room when I felt a warm hand grab my shoulder. Cole Dyami is a mysterious boy with a dangerous secret. Adeline Jasely is a typical teenage girl. Living in the seemingly normal small town of Great Falls Montana, Adeline is confronted with everyday teenage problems by a not so normal beautiful boy. As Adeline and Cole’s worlds collide, the line between illusion and reality is blurred. According to a tribal legend, Adeline and Cole are no longer two friends, but two pieces in a complicated mystery. Suddenly, Adeline finds herself in a world she never knew existed. Along side Cole, she attempts to unravel the mysteries of the small Chippewa tribe in order to not only find out who Cole Dyami truly is, but who she is as well. As Cole and Adeline begin to uncover the secrets behind the legends of the Chippewa tribe, illusion slowly unravels into reality and friendship gradually melts into a mutual need of survival. Just follow the Rafflecopter link, do what the thing tells you for multiple entries, and then cross your fingers! Previous postBlogger Book Fair: Welcome Sydney Logan!